4. 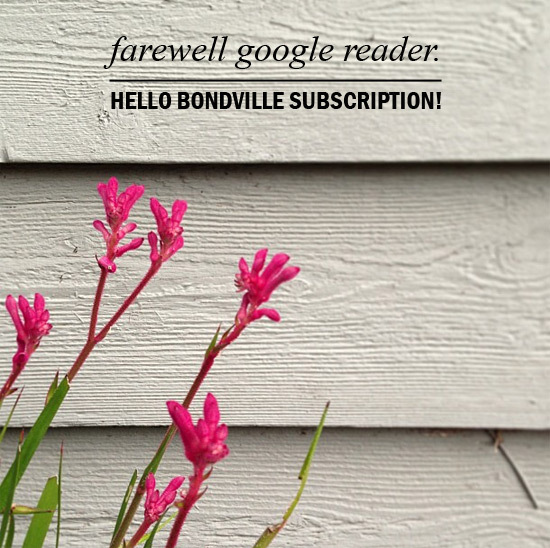 RSS reader: You can also add Bondville to your favourite reader including your Yahoo homepage or iGoogle homepage. I love having you here. I hope you will continue to get your fix of Australian design for Mum, Kids and Home!